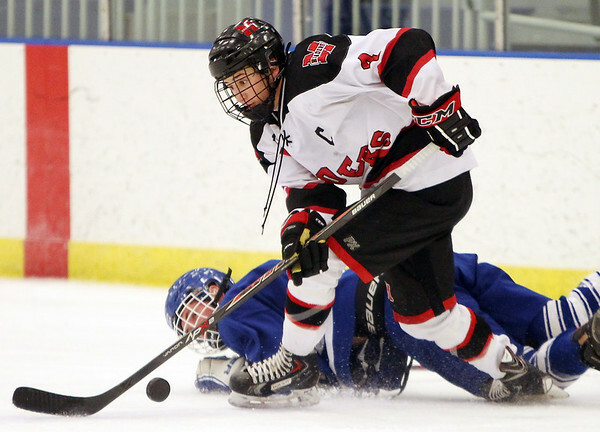 Marblehead senior captain Cam McDonald (4), flattens Danvers forward Sean Lundergan and steals the puck during the third period of play at the Rockett Arena at Salem State University on Saturday afternoon. DAVID LE/Staff photo. 1/17/15.